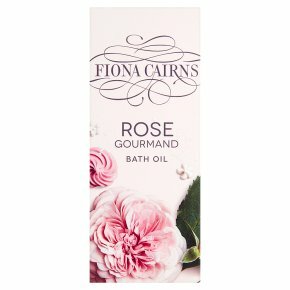 A luxurious, fragranced bath oil that transforms to a milky bloom when poured into a warm bath. Enriched with a blend of sweet almond oil, aloe vera and vitamin E, it will leave skin soothed, calm and lightly scented. Scent transports us through worlds and time, hopes and dreams. Our debut fragrance evokes delicate garden blooms layered with warm spices. Rose reigns supreme, floating above pink pepper, geranium, amber, cinnamon, clove bud and myrrh. Directions for Use: Add a small amount of oil to a warm bath. CAUTION: Avoid contact with eyes. If product enters the eyes, rinse well with warm water. Do not apply to sore, broken or irritated skin. Discontinue use if irritation occurs. Keep out of the reach of children.